At the lower end of Polk Place, the university erected a new and grander library as a sign of its commitment to becoming a major research university. Named in 1956 for distinguished university librarian Louis Round Wilson, Nash designed the building in consultation with Kendall. 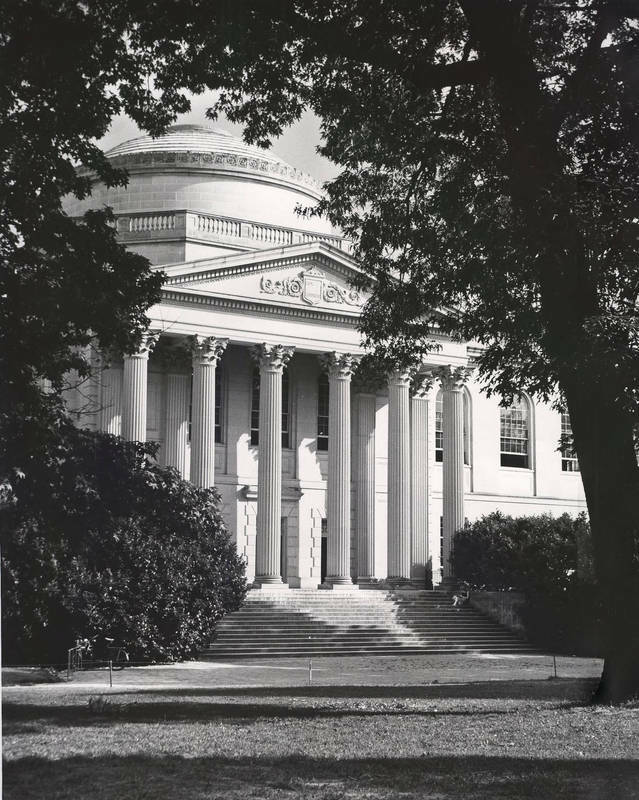 Wilson Library is a multistory limestone building with an eighty-five-foot-high Roman dome. Unlike the collegiate Georgian buildings nearby, its style is Beaux Arts, an architecture based on the ideas taught at the École des Beaux-Arts in Paris. It is an eclectic structure combining classical and Renaissance elements. Following this tradition, Wilson Library is much more ornamented than its contemporaries. Its portico faces the quadrangle and has six Corinthian columns, two more than the Ionic columns on the simpler South Building.